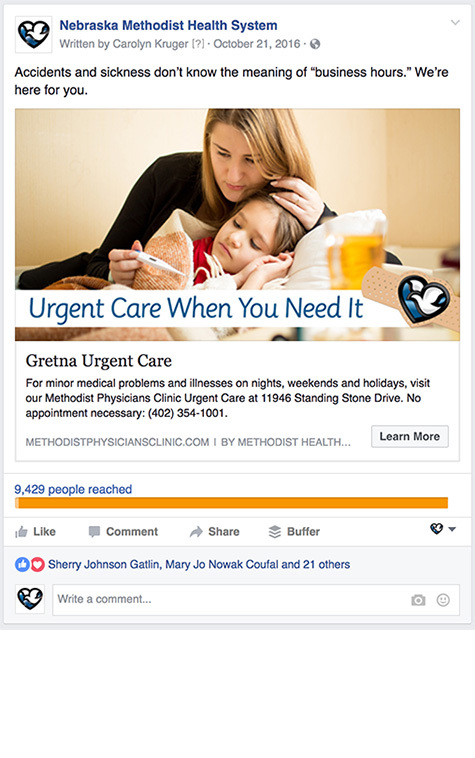 Methodist Health System approached us to help them strategize and create Facebook and Twitter ads for some of their clinics and urgent care offices. Methodist identified the clinics and the goals for those clinics and our Corporate Three Design team went to work. Images were chosen that either had a Methodist Physician in it or a strong stock photo related to the subject matter. Using a Methodist physician in the photo has the added benefit of increased engagement as the viewers recognize their doctor and comment on that. When crafting the messaging, we needed to remember what platform we were creating for. Writing for Facebook is going to be different than Twitter. Facebook is particular about what gets added to the site, because they want the ads to be a seamless experience for the users. Knowing that, as advertisers we have to make sure what we're offering is something that is going to benefit the users. 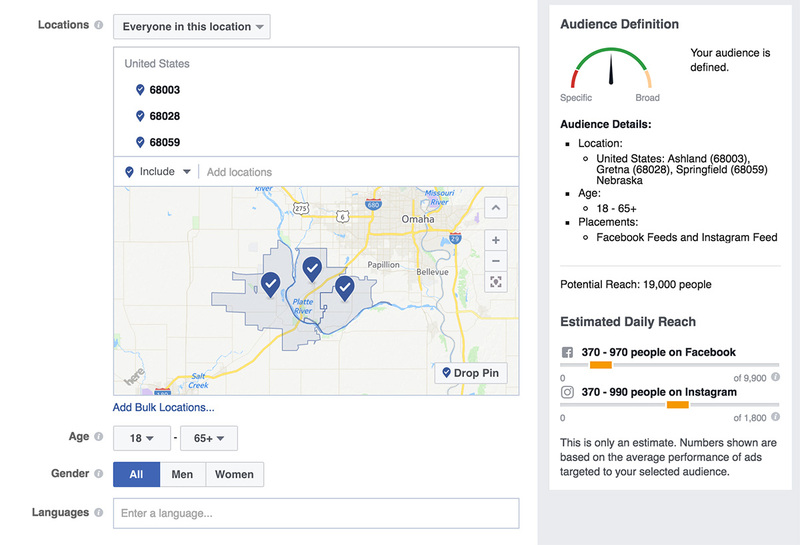 One of the best parts of advertising on social platforms is the ability to target the ads based on various demographics. For the Methodist ads, we targeted the zip codes of the areas that the particular clinic serviced. 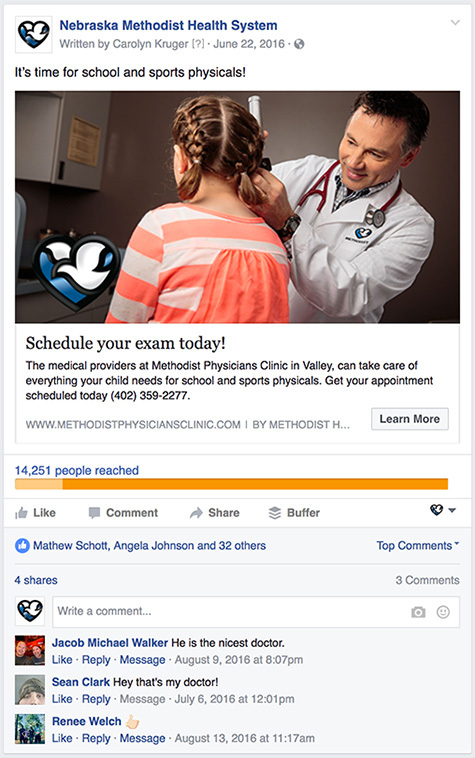 Social ads have been a good investment for Methodist Health System. The reach and click through rates are some of the highest of their ad buys. Anecdotally, ads targeted for a certain clinic have increased a physician's patients exponentially. Methodist's Interactive Team and physicians have all been pleased with the results. Choosing to advertise on social channels has allowed Methodist Health System to display The Meaning of Care® right where their current and potential patients are interacting.